Every morning, “Melissa” drove the same route to work. All day, she just typed stats. She was in a rut, and it was really getting to her. What if she ditched her boring routine and took a detour? That’s what a New York City bus driver did in 1947 and a famous author did about 20 years earlier. “Melissa” parked her car near the airport, and watched as planes landed and others took off for parts unknown. What would it be like to be on one of those flights? She glanced over at a book on the passenger’s seat, and smiled as she looked at the author’s photo. The author, a famous mystery writer, went missing for 11 days after a fight with her philandering husband. Archibald Christie wanted a divorce and left to spend the weekend with his mistress, Nancy Neele. That same night, Dec. 3, 1926, Agatha Christie vanished. Her car was found abandoned, and it’s believed she boarded a train to London. For 11 days, there was an intense search for her. Her disappearance made front-page news, across the pond, in The New York Times. What happens when a well-known author goes missing? Police seek out the usual suspects. The spouse is usually the first to fall under suspicion. For Christie, the author of many who-done-its, it had the makings of a plot from one of her novels. For such a recognizable woman, Christie managed to hide in plain sight at the Swan Hydrophathic Hotel (now “Old Swan Hotel”) in Harrogate. She had registered under a pseudonym. Still, a man staying at the hotel recognized her, and reported it to police. Some thought she wanted to frame her husband for murder. Others thought that her disappearance was just a publicity stunt. The Christies divorced in 1928. Two years later, she married archaeologist Max Mallowan, who she met at an archaeological dig. For the writer who loved to keep us guessing as we read her novels, the mystery remains. Why did she decide to run off? Christie never did say publicly. New York City bus driver, William Cimillo, had a similar urge in 1947. But he was quite clear as to what drove him to it. He got tired of the same old routine on his route – same people, same stops, same transfers. Cimillo drove his bus out of The Bronx, stopped for some sight-seeing at the White House in Washington, D.C. Then, he headed for a beach in Florida. It wasn’t until Cimillo was running low on money that he contacted his company. He hoped they’d wire him some money. Instead, they sent the cops, and he was brought back in handcuffs. For Cimillo, the publicity surrounding his escapade made him a hero. The company dropped the charges, and he got his job back. “Melissa” could identify with that desire to get away from it all. She also wanted a change of pace. She put her car in reverse, backed out of the parking lot. “Melissa’s” bags were packed. She was ready to go, and headed toward the airport. Her final destination was uncertain, but not knowing was energizing and exciting – an abrupt departure from the same old, same old. Would you take a leap and risk it all just to start fresh in a new setting? Not likely. I’m just not that adventurous. Then of course, there are the cats…. Indeed! The thought of driving cross country with those whiny furballs would do me in. an abrupt departure from the same old, same old. Me too. From Miami to Greensboro hopefully in a few weeks if no glitch closing. 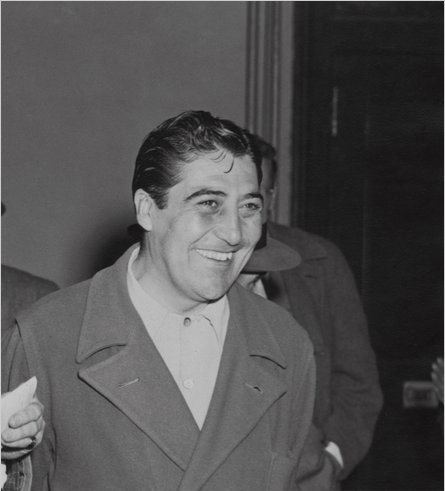 Thank you for the truly fascinating back story of Dame Agatha Christie’s personal life and of bus-driver Cimillo. I along with your other readers appreciate all the research that makes your stories come to life, three-dimensional almost. Trains, buses, planes – all ways to get away both literally and metaphorically. Thank you, Marian. I enjoy digging into the backstories. I have been a huge fan of Agatha Christie since I was a teen and have always been fascinated about the “why” of her disappearance. Bus driver William Cimillo’s detour tickles me and the interview on “This American Life” that I included is well worth listening to. I felt that way when I moved from the Maryland-side-of-D.C. to Syracuse in 1983 as an unattached 25-year-old with just a newspaper job, one-bedroom apartment and high hopes awaiting, Judy. Not even a cat! It worked out well after a month of homesickness. I made a new friend or 200 in the ensuing 31 years. Great story here, my friend. Judy, I love this post!! You have no idea who this strikes a chord in me….my inner Stevie Nicks often wants to go “on tour.” The face of that bus driver absolutely makes my day. Look how happy he looks!!! One of these days……LOL!! What’s your theory on Agatha? Yes, bus driver William Cimillo is clearly elated about the welcome he got when he returned to the Bronx. I’m glad it worked out for him. From the radio interview, one of his sons really had a hard time handling his father’s choice. Well, yes, there are those troubling aspects to hitting the road….children, parents, pets…..but I so understand the allure. I think your Agatha theory makes sense. I enjoyed the stories of Christie and Cimillo. No, I would never do it. I’ve come across many references to people leaving a place in the eighteenth-century. I think some of them must have been sudden–deciding to leave when the army left town or something like that. First of all, I really was captivated by Agatha’s story, hoping she had a ‘fugue’ moment or maybe just wishing for anonymous and mental escape from the life she lived with her husband. It was great how she was able to choose to divorce (2 years later) and hope her marriage with the archaeologist was one where she felt valued and treasured. The man who was a taxi driver and the Melissa were intriguing. I wanted to know more of the aftermath of Melissa’s choice, also was so happy that Cimillo’s fate that he was able to get his job back, with not much retribution. The embarrassment of being arrested didn’t seem to bother the ones who were his bosses nor himself. This was a great post with a fascinating subject matter. I always loved all of Agatha Christie’s books. Some of the plays and movies are well done, but the books were very good. I would never wish to disappear nor hurt my family by this choice. I understand why people who are being abused, or in unfortunate situations, do choose to leave, though. I love the song you chose, one which I have been known to sing during Karaoke nights with 2 coworker/friends! Smiles! Robin … The bus driver, William Cimillo, left behind a wife and two children and, from what I read and heard in the radio interview, his departure really upset his family. Years later, his one son still could not accept what his father had done. He felt that his father had deserted him and the rest of the family. I’m glad that William Cimillo and his family reunited, that he got his job back, and that he wisely decided not to repeat his disappearing act. As for “Melissa,” that is a composite of two people I know. One chose to stay. The other briefly left and later returned. I’d say there was mixed feelings about their decisions, wondering if their lives would have played out differently if they hadn’t made the choices they did. I once ran away from home for a week, but I was lucky. My friend had an apartment in Florida to which she gave me her key, and I was able to find a last minute plane ticket. Ronnie … There are times when I’ve met my problems head-on, and others when I avoided them at all costs. I can’t say which way is the best way to go. I’m glad you had a safe place to stay and hope that it was all quickly resolved. I think we all need some sort of escape or other, Judy, to get away at times. Reading this was a Great Little Escape for me, today. I am never sure when the comments will go through! However I have thought quite often the past several years of disappearing .. Need to finish my book and make some money and then perhaps I can disappear?! There are but a very few people that would miss me and I can count then on one hand and there could be perhaps 11 I would miss .. especially 6! Is that ok? Loved the post! Thanks! I also got my book today! Yea! Thanks again! Rick … To have friends who have your back is priceless. I’m sure you’d all be missing each other in no time. Glad you enjoyed the post. I tried to leave you a message on your post and could not find it. Your photo and the “Here’s Rick” do not link to your blog. I’ve found it in the past, but cannot now. Delicious details, Judy. How did I miss these fascinating details all these years? Like you, I once tied a possible story idea into McCandless’s story, and I’ve noticed that for awhile in 2009-2012, “disappearing” stories were front and center in mysteries and for contests. Marilyn … Glad you enjoyed this post. Jon Krakauer’s “Into the Wild” about Chris McCandless was compelling. While I might have fantasized about taking off when I was younger, I also was realistic enough to know that such a venture would have many challenges that I wasn’t confident I could overcome. 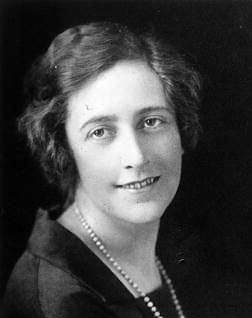 I found Agatha Christie’s disappearance to be sad because I believe she wanted to make her marriage work. The bus driver, William Cimillo, had a much happier ending. 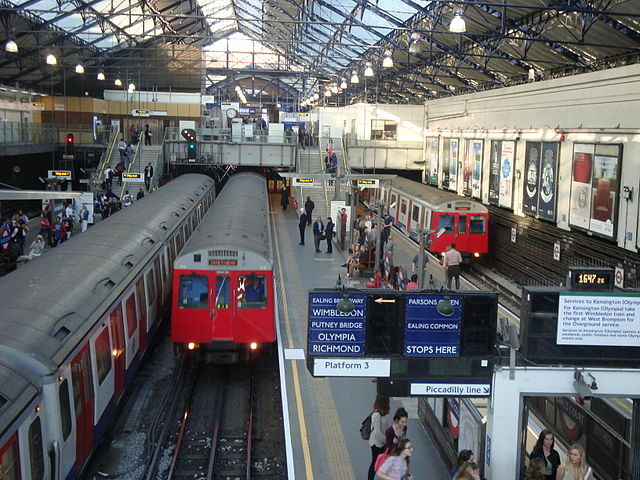 That picture of Earls Court station on the London Underground intrigued me, especially as I had been standing on that platform last weekend! The Agatha Christie disappearance is almost folklore here. We went to her house in Devon a while back. It is now owned by the National Trust and visitors can see exactly how she lived – it’s as though she is still there. The gardens are beautiful, too. Well worth a visit. As for packing up and running off, who doesn’t think like that occasionally? Good for that bus driver, I say, for having a bit of an adventure! Oh, Jenny, how I envy you. I’d have loved to have visited Agatha Christie’s home when we were in London years ago. How far is Devon from London? I selected that photo of the London Underground because it looked busy. In writing this post, I hit a number of coincidences. Your being at that station is another one. Devon is around 3-4 hours drive from London. Her house is called Greenaway and it sits on land just above the beautiful river Dart in South Devon. Worth a trip. What a wonderful writer you are. I was totally caught up in Agatha Christie’s story. Almost forgot my own as Bill and I roamed in remote areas of California for 5 years…definitely stepping out of the mundane. How nice of you to say, Dor. 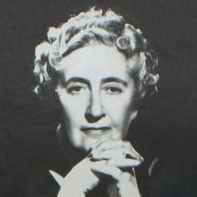 I’m a big fan of Agatha Christie and, for me, her disappearance looms larger than any of her mysteries. All three are my inspiration now. I knew how this question so well as I am so tempted sometimes when things are just too much, “Would you take a leap and risk it all just to start fresh in a new setting?” About 2 Summer’s ago while in Clearwater Florida, having the most relaxing, happiest family time, without worries and away from all the dramas and stressors in our lives I asked her, “Why can we just stay here, leave everything behind in Texas and start fresh.” She almost said yes…Perhaps in God’s time it will happen though lately we’d being thinking of moving from Houston to Austin, same reason…escape and start something exciting. I had not been aware of that interesting anecdote of Agatha Christie. Thank you for sharing. I suppose there comes a time in each of our lives when we confront that question you have asked, “Would I take a leap and risk it all just to start fresh in a new setting?” The answer might vary under different situations as also how these occur for us at that moment. To take that leap of faith, the mindset of boredom, upset or negativity needs to exercise a significantly greater pull than the attachments to our comfort zone. So what is it really we need to do to make the leap of faith? I would say we need to have the conviction of a created future which we can start living into right away. So we need to get our hands on the levers and dials to make that happen. It is from this doing that faith arises. Glad you enjoyed this post. I once felt that my life would be better when I left a job where I was most unhappy. The situation changed there, and so did my attitude. I’m not sure which had the greatest impact on my happiness. I’m only happy that I stayed long enough to see a positive change in my life – professionally and personally. Madhu … Not knowing the ‘why’ makes Agatha’s disappearance even more riveting. Very sad, though. I had heard the bus driver’s story before it aired on “This American Life” this month. His story is fascinating as well. Maybe because they both pulled off what many of us only fantasize about doing. I’m delighted you enjoyed how I wove the stories together. Thank you for your comments.